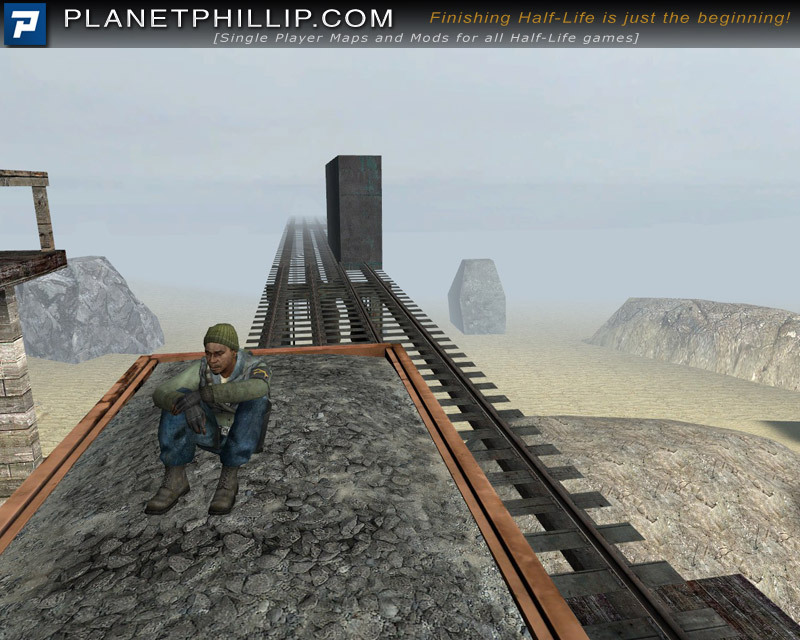 You find yourself in a wasteland with one isolated train stop. All you need to do is reach the waiting rebel and you can travel to freedom. 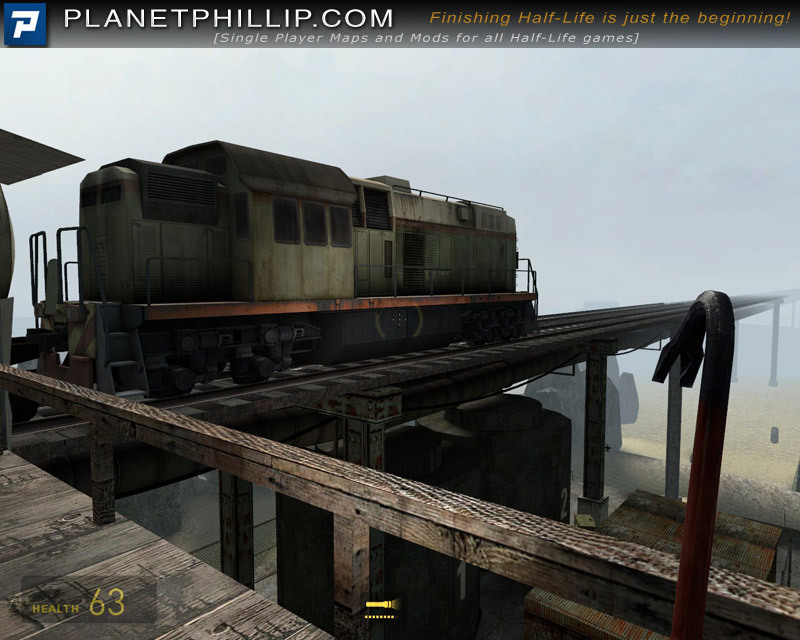 Copy wasteland_combat.bsp into your Half-Life 2: Episode Two Maps folder. Open the console and type map wasteland_combat. Why HOF? Because it’s beautiful, that’s why. The combat is only ok, but that’s because it was specifically added so it would fit my posting criteria. I’ve just finished playing it and I can’t remember any music, that would have helped the atmosphere, tha said it’s really nice map to just wander around. Be careful though, where it says “Explosives” it really means it! It’s pretty short but has a nice ending. WHich is actually quite important in a map this size, when SP map simply fade to balck with no obvious reasn it’s quite annoying. But nonetheless, worth playing – though quite short. phil, I have only just uploaded this. It was mentioned on the forum but that version did have any combat, so it’s very different from the one you played. I’ve just added the panoramic image. I teetered between a “Maybe” and a “Play it later” recommendation for this. It’s short and features very little in the way of combat — and the combat is so easy it might as well not be there, really. It looks good and the exploration is…okay. Overall I didn’t think it was anything to shout about. Well played zwieracz (Sphincter), much better than the non-combat version for game players. A bit short though. A Hunter or 3 on the ground when we get up the first ladder, maybe, would have added play time, challenge and enjoyment. 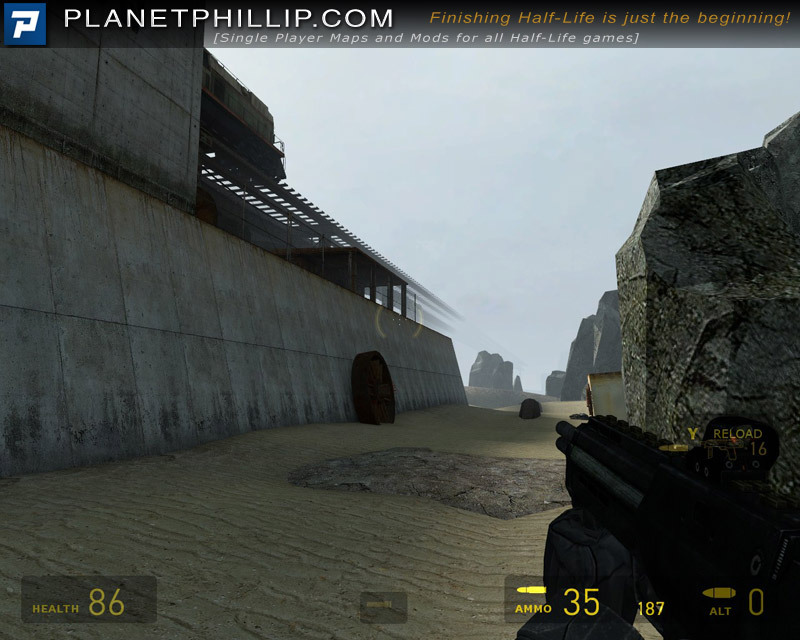 This map was a “Play it Now” for me, but with combat it is a “play it later”. I don’t think combat fits. I was more into the game when I was alone, but when combine and zombies appeared, all atmosphere is ruined for me. Still very good map nontheless. The screenshot gallery is now working again. All because of one misssed quotation mark, when removing some code! DOH! Another great map, tho I was really ticked off in the beginning because I kept getting smothered by so many combine without the right guns. You could have added a usable gun to dispatch the first horde of combine. Glad to see more quality maps. I think I have played other maps from this author before… Keep up the great work. Not that bad, solid map. There is nearly anything to bother, but there is also nothing special. I don’t think that the map is that beautiful, I’ve seen maps far more beautiful. That white fog blends and doesn’t look that good, it’s a pretty cheap trick which let’s the player see how small the map is. I have not yet played this combat version of Wastelands but nice to see the mod finally posted here on the main sight for all to play. Having first played the non-combat version posted on PP forum, I was very disappointed that it was not made available for all PP visitors knowing that only a small percentage also visits the forum. This is a beautiful piece of work, and not normally being one attracted to HL format without any combat, this mod I am sure will appeal to all with or without the combat. I’m not too sure if I will bother to play this version, so impressed was I with the original concept that a cant see that this version will improve on the original, either way make sure you download and play this one, it’s has a rich silky feel about it as you progress through it’s imaginative layout to reach your goal. Thanks to all that made it possible to be posted on the main site and my rating is for the non-combat version for the time being. 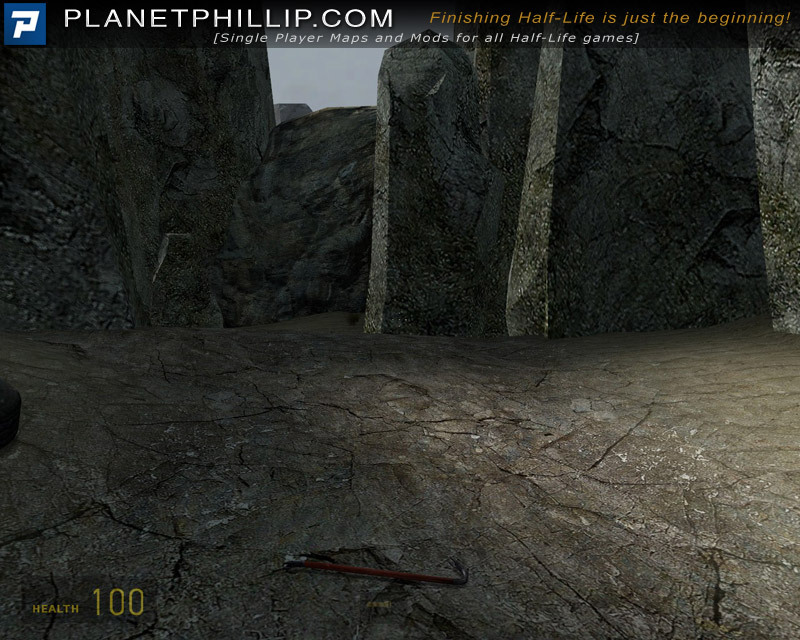 I haven’t played either version of this yet but just wanted to say that I agree 100% with Phillip not wanting to add mods that lack any fighting. Why would anyone ever even want to make a HL map without it? 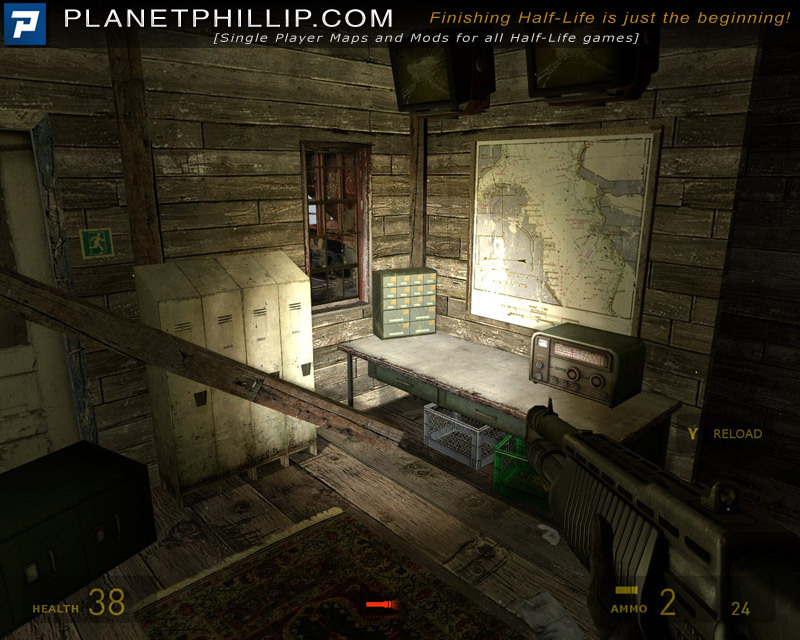 Combat is a major part of HL and without it I don’t want to play it. 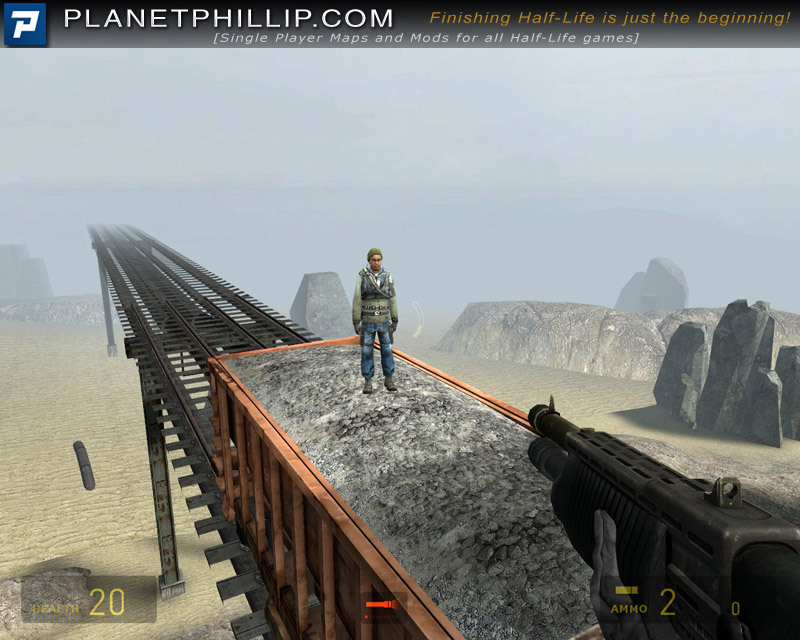 Most of us love the action in the game and I think Phillip should keep the all puzzle-jump type games out. Now, time to check this out and see what all the talks about. Just finsihed this in about 10 minutes. I really don’t see anything new here and there’s nothing seperating this very short mod from alot of other just mediocre ones just like it. It has no real story and very little action. Actually, for me it was not worth the effort to download. The author may want to make it alot longer and let the train actually take the player on into a real situation with alot of combat. Until then, it’s very forgettable. Jasper just pointed me here: Dark Atmosphere mod. I wonder how it will compare to this mod, if it’s released. 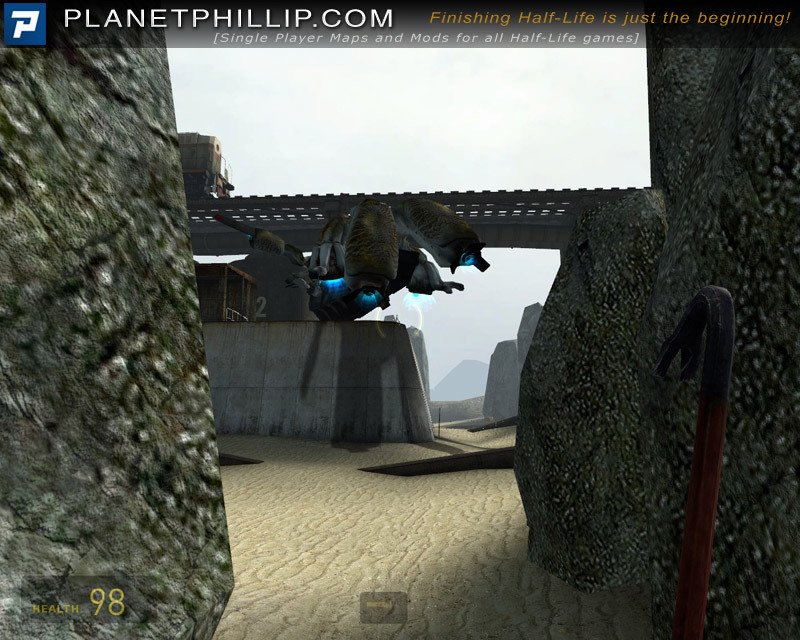 The added combat fitted into the original mod very convincingly and if you had not played the original without combat I doubt that you would have missed any thing. Also if you haven’t played the original I don’t think there is much point in going back and doing so, the joy of the original was a mixture of discovering a well designed and laid-out map plus its goal of finding the route to the objective. 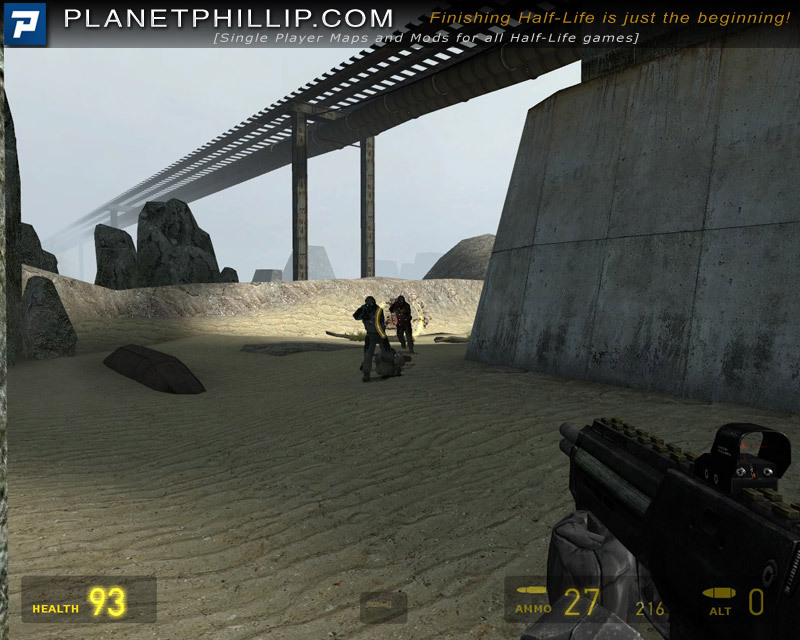 The combat has the affect of turning the map into an action adventure from its original concept of explore and accomplish format. 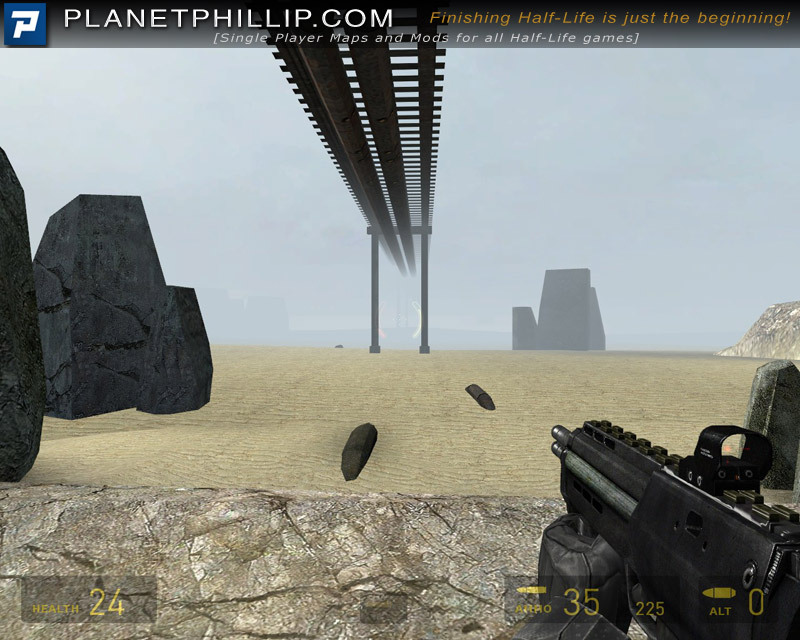 The level design was better than most, but not extraordinary. I’m glad I started with the combat version, because exploration alone would not have satisfied me. I’d also like to have seen some more impressive ground forces, and maybe even a gunship battle once I reached the top of the structure. These seem like simple improvements that wouldn’t have taken too much extra effort. Still a very good level! The level design is decent. However, Im not clear if this is a remade map from the WC mappack or a custom made map from scratch. Either way it was fun to play and look around for 5-10 mins. 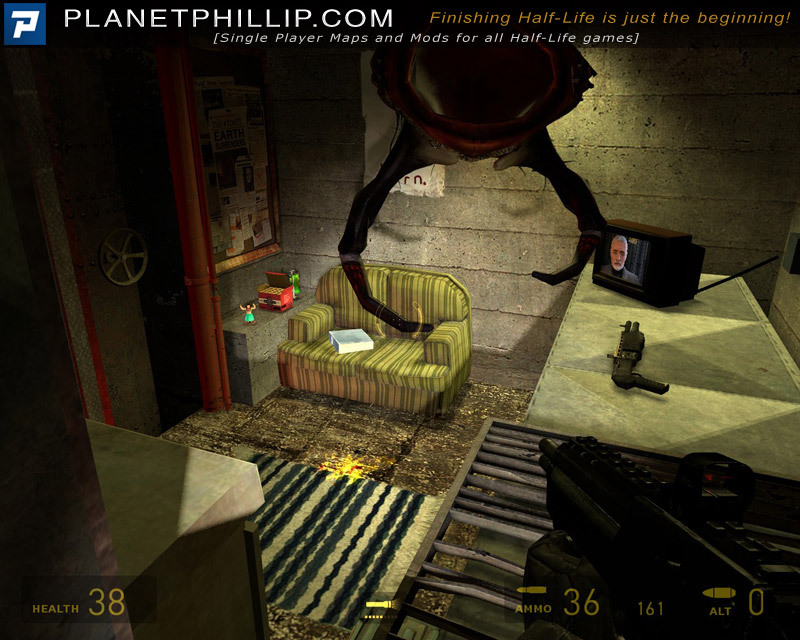 If you’re interested in the old Half-life 2 story, give it a go! I think there could have been a little more combat–did the transport ship bring just those few soldiers? But everything worked well. It’s nice that it “ended” (instead of black screen), though it ended a little too soon. It is indeed pretty, so if you’re only dl’ing it for that reason, consider this a Play It Now. Otherwise… well, the map was very short, and the direction through the level was a bit convoluted. I feel like the path that ended up being the main path should have been a side path with goodies at the end. 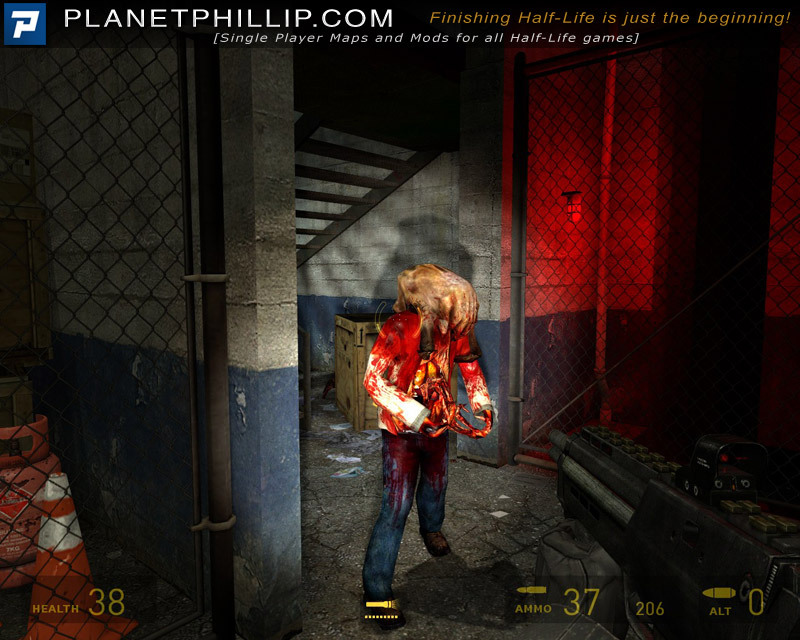 The combat was limited to zombies and a combine attacking in squads of four. In one instance, one of the combine soldiers was killed by friendly fire… that goes back to the convoluted level direction. All in all, it’s nice to wander around in and look at, but not much fun as a playable map. HOLY FRARF THE ATMOSPHERE. Sure, it’s short, but the entire time I felt like I could’ve really been there. This map is just gorgeous and has such good decorating that it feels like a real place. I’ve always loved levels in games that take place in high up places, especially when they’re also in a desert, so this is right up my alley. It has no puzzles but to me that’s fine since the whole point seems to be realism and you won’t find random puzzles lying around in real life. 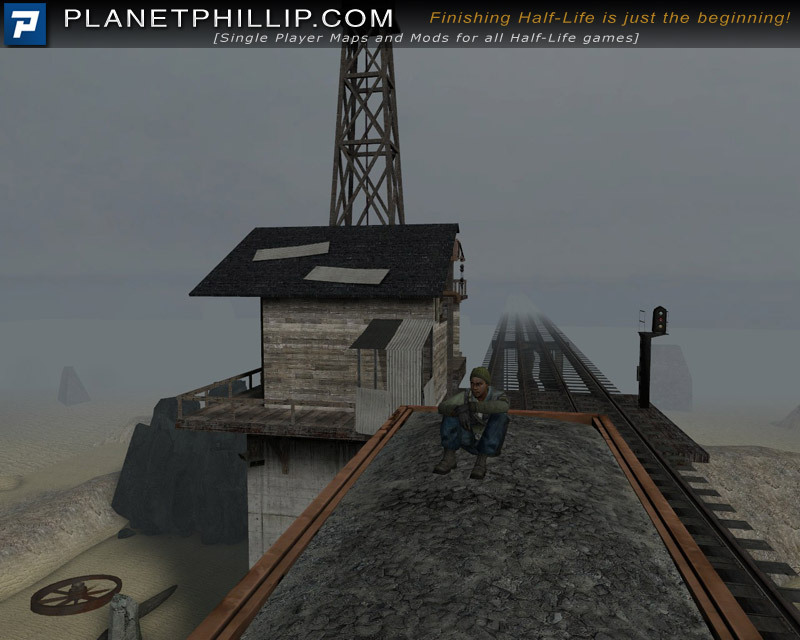 This map is amazing, it truly is one of the most atmospheric games I have ever played. Everyone should go play it. Short, but very sweet. 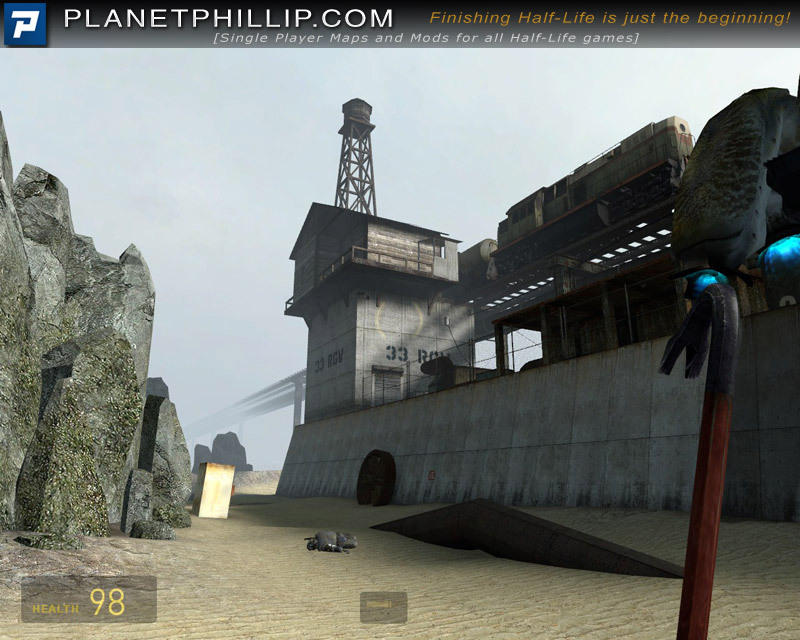 This is a nice exploration map which seems to be based on one of the old Half-Life 2 wasteland concepts. For its short length, it is very well executed, and reminded me of a more recent mod, Depot, which was a bigger project with the same idea. In any case, this is a nice ten minute level with nothing too intense. This is a very short map, and the combat is pretty fun. So why personal favourite? Well, because it’s one of the most atmospheric and immersive levels I’ve ever played. The detailing is amazing and it feels like a real environment. The setting is another thing, I’ve always loved desert environments in games, as well as high altitude areas. 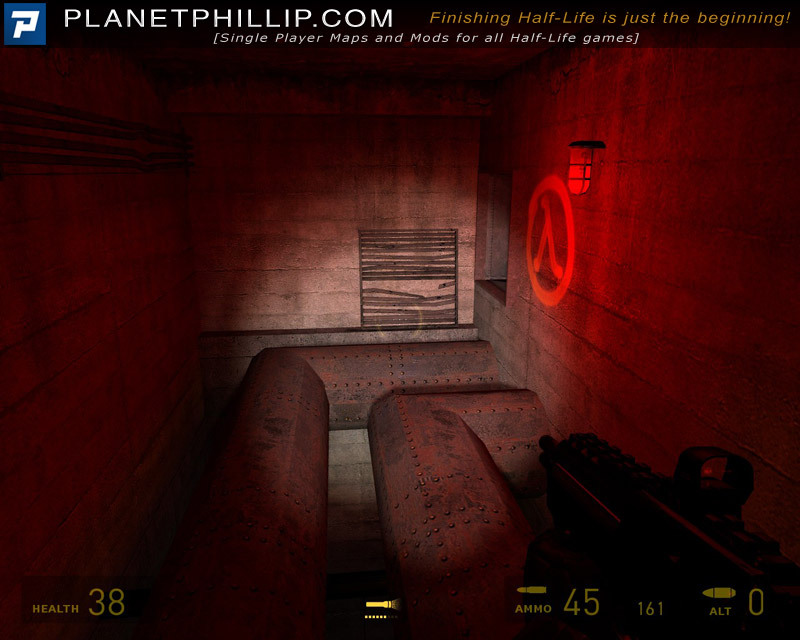 This is one of my favourite maps for HL2, and I highly recommend you play it. This is brilliant. Okay, it’s short and I was left wanting much more but I really did enjoy it. 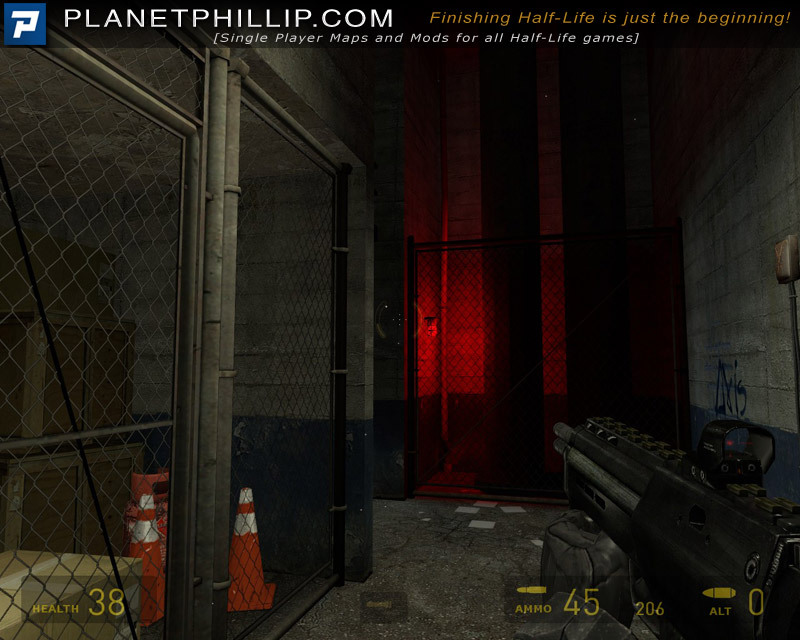 The level is really well thought out and I liked how it played through but I thought it was a bit bland on the outside. However, once I climbed that first ladder I was having great fun playing through and found it very captivating.